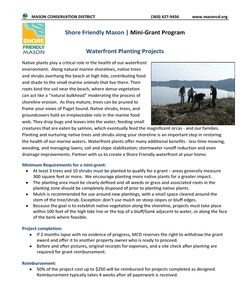 Mason Conservation District is pleased to offer Shore Friendly Mason "Mini-Grants" to local marine waterfront property owners. 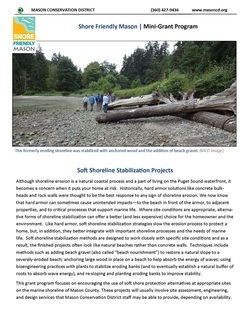 This program helps Mason County homeowners complete projects that benefit Puget Sound shorelines while also addressing their goals. 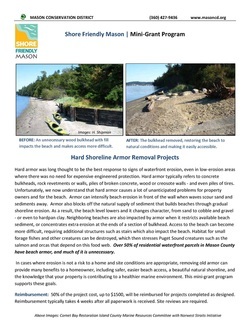 in cases where a home is at risk and conditions are suitable, installation of “soft shoreline stabilization” alternatives to shoreline armor. 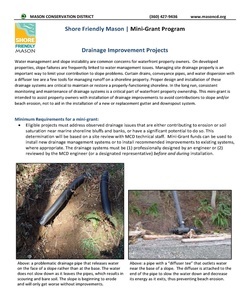 Details about eligible mini-grant projects can be found below. 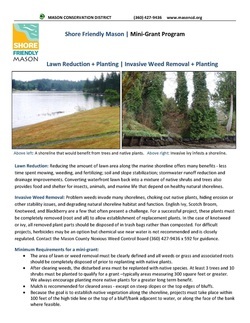 ​and points you to the resources you need.